This entry was posted in canada immigration Visa and tagged business in Canada Canada Entrepreneur Visa Canada Immigration immigrant Migrate to Canada on August 20, 2013 by Blog Author. People who generally have a brilliant future are the entrepreneurs. They have enormous capital and mentorship qualities. They have practical knowledge regarding the day-to-day business operations. We spend less time thinking and talking about the challenges that are faced by the immigrant entrepreneurs. The conditions for the success of those entrepreneurs are particularly pertinent to the newer Canadians. MoreVisas will guide the customers who aspire to migrate to Canada. The Immigrant Entrepreneurs face specific challenges, and in that process they outline some significant opportunities for offering better support to Canada. Immigrant entrepreneurs are extremely beneficial for the economic development of Canada. 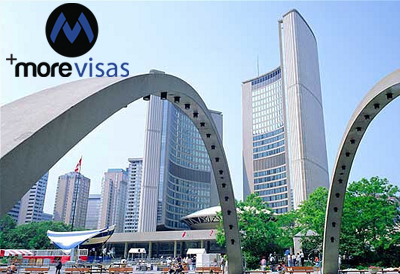 The experienced consultants of MoreVisas will assist clients in securing Canada Entrepreneur Visa. The Immigrant Entrepreneurs have complete hold on their English language skills. They have appropriate knowledge about the mechanics for establishing a business. They are always updated with rules, regulations and procedures including the nitty-gritty details. These are the biggest determinants of success for immigrant entrepreneurs. Mentorship and entrepreneurial experience which is either directly, or within the family also play a crucial role for the challenges for new immigrants. There are few genuinely good programs in Toronto for newcomer entrepreneurs," says Ms. Shelley Zuckerman, who is the executive director of North York Community House. There are few targeted supports in place, for particular demographics or providing specific services. There is certainly a need for more mentorship programs, especially for people who are without a family history of entrepreneurship. This program is especially aimed at those who are planning to start with particularly small businesses in Canada. The immigrant entrepreneurs fall into 2 groups. First is those who are "pulled" towards entrepreneurship and are attracted to it. They choose it and arrive to Canada with a course of action in mind. The second and those who are "pushed" towards it, they do not find satisfactory employment elsewhere and turn to entrepreneurship to close their income needs, or provide more flexibility for their personal and family life. NYCH assembled a roundtable of groups providing services to the immigrant entrepreneurs by putting together the study; that the group will continue to meet and share information and examine how they can coordinate their services more effectively.